This is the best, well constructed stainless steel garlic press I have ever owned. 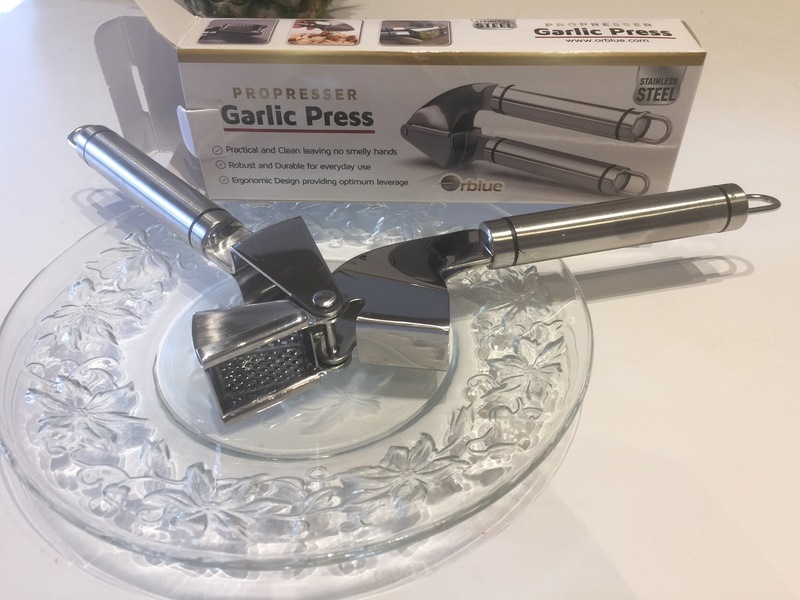 The last garlic press I had, I thought was great until once while rinsing out the removable garlic press basket in my kitchen sink, the stainless steel basket fell out of my hands and into the sink. I couldn’t retrieve the basket fast enough and it fell down the garbage disposal. I was really disappointed, had to make sure my garbage disposal was turned off and then take about ten minutes to retrieve the basket with a fork. Love that this manufacturer really thought about the design. 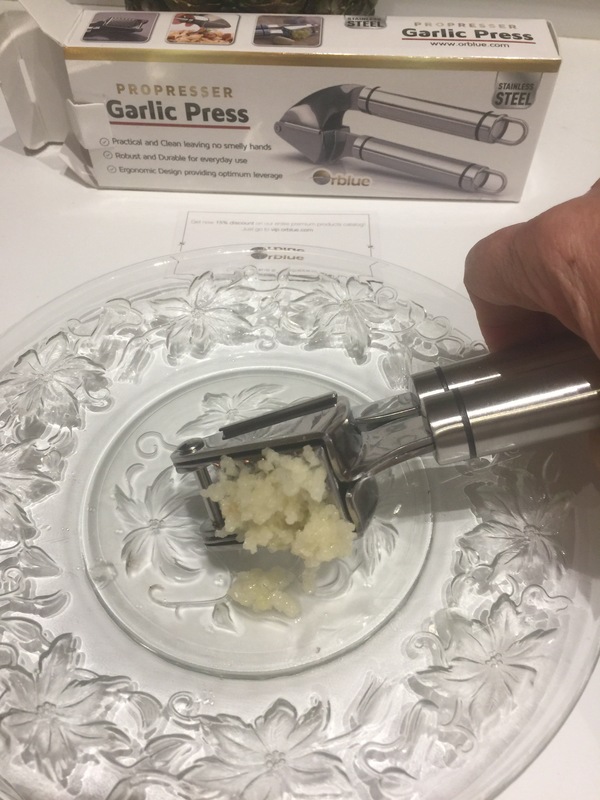 This new garlic press with the permanently attached basket is just as easy to clean. It comes with a little cleaning brush to help remove the very minor amount of crushed garlic left in the tiny holes of the basket. Also, this garlic press is 100 percent stainless steel so it will always have its bright stainless steel shine and look new. 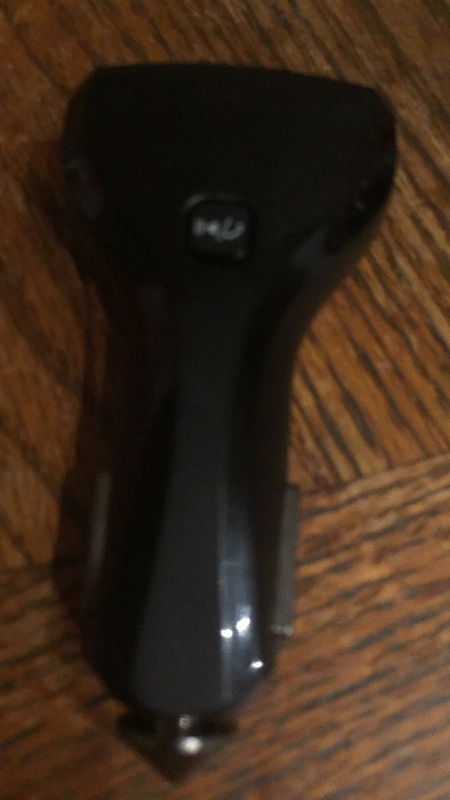 The handle of this garlic press is comfortable and easy to use. And I will no longer have to worry about the basket getting misplaced when in storage. Love the larger, permanently attached basket that holds the garlic. Ease of use to and cleans easily. First garlic press I’ve owned that comes with a mini brush to clean the garlic press basket. This company has thought of everything. Great product. I purchased this Bluetooth Smart Watch online from Walmart.com. As of March 12, 2017, this Bluetooth smart watch can only be purchased online at Walmart.com. This purchase doesn’t have any shipping fees and is quickly delivered to your home. This Bluetooth smart watch is really very nice. It is unisex and can be worn by both men and women. 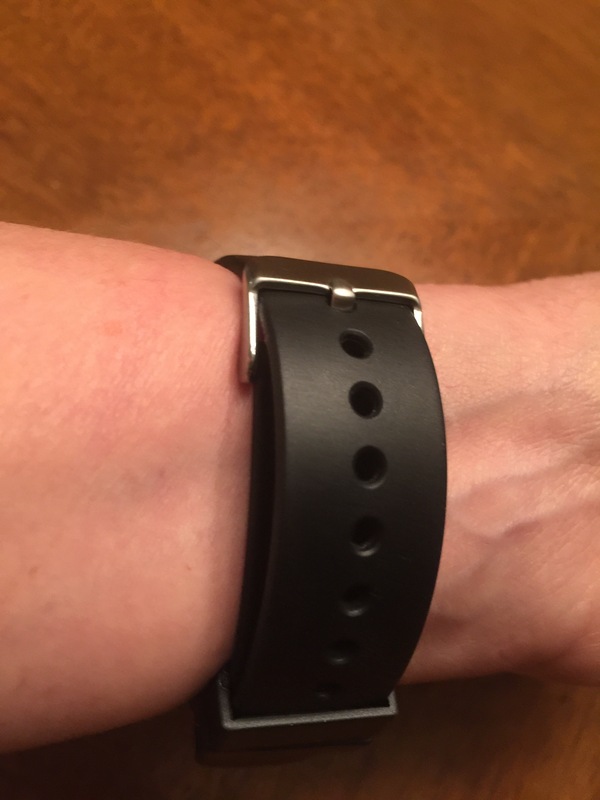 It comes in one size and has a comfortable adjustable wrist band. The band only comes in black, but black matches well with everything. The watch has a good size dial so that you can easily read the different function areas. The watch has many different features. 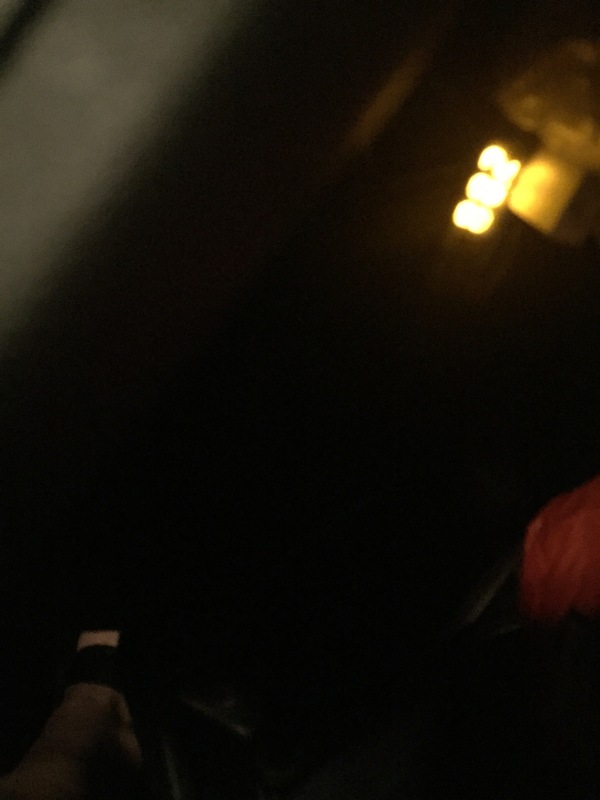 The differences in the smart watch sold online by Walmart.com and the Apple Watch is that the Apple Watch can take pictures and has various background pics to choose from. 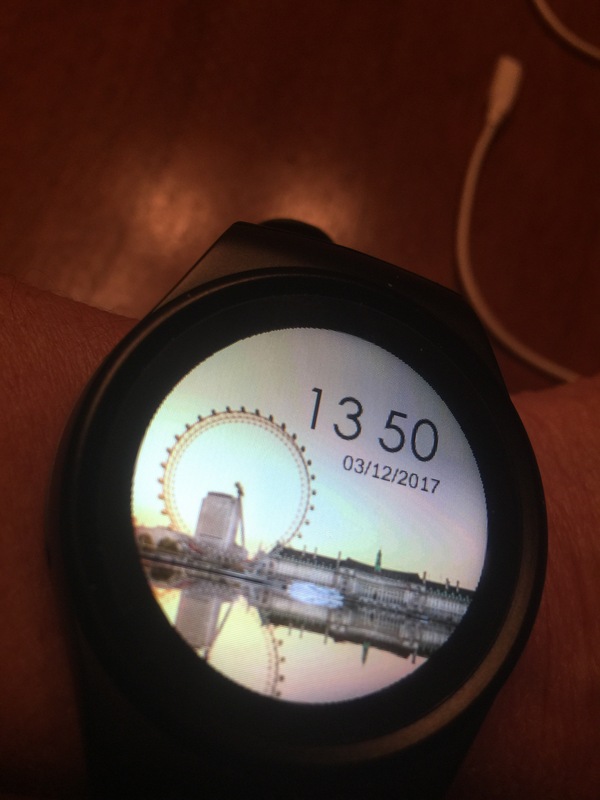 The Smart Watch sold by Walmart.com only has a choice of three background settings. I already own a iPhone 6 Plus that takes great pictures and short videos, so that I don’t feel I need these added features. Some smart watch consumers like their smartwatch to have every functional ability. I purchased my Smart Watch for $69.99 plus tax. Walmart shipped the smart watch to my home address free of charge. I don’t think the minor differences in these two watches is worth paying well over $200.00 for the Apple Watch or the expensive of the Fitbit watch. The smart watch (from Walmart’s online) compared to the Fitbit watch was far superior to the Fitbit watch and was less than half the cost. The Fitbit watch can receive messages, but Fitbit watch doesn’t allow you to send messages. The Fitbit was is also twice the price of the smart watch and I like the features of my smart watch better. The smart watch came with easy to understand. Never having owned a smart watch before, I still was able to program my smart phone within ten – fifteen minutes. And I’m far from a computer geek. I easily synced my IPhone 6 Plus to my new smart watch. My smart watch is compatible with both an IPhone and an android phone. I can easily make and receive phone calls, have the exact telephone listings also stored into my smart watch, send and receive text messages, can record voice messages, has a calendar that is also cynced to my iPhone calendar. All my events documented on my iPhone calendar are easily forwarded to my smart watch. The watch even has a pedometer (to track my daily walking steps), can monitor my sleep rhythm, can give me an accurate heart beats per minute. The watch can send me notifications, has a built in stop watch, can also be set to play music from my iPhone such as music from Pandora. I needed to purchase a memory storage card to play videos. I purchased the memory card for approximately $14.99 and it has more than enough store for my smart watch. You may also purchase a SIM card. A magnetic battery charging cable and memory card opener pin comes with the Bluetooth smart watch. Please be aware that if you want to use a SIM card or memory card with this smart phone you must purchase them separately. One great thing about a smart watch is that you can wear the product at work and it looks like a regular casual sports watch. So the big advantage to having a smart watch besides the obvious reasons is that I can make a quick phone call or receive an important phone call, find out the time and date on my watch and my supervisor and other employees would not know. It is so obvious when use your smart phone. Once in a while there is this one phone call you have to answer during the day for example from you doctors office or your child is sick at school and the school must contact you ASAP. Before purchasing this product, I compared this smart watch, the Apple Watch and the Fitbit Watch. For the price and all the great functions this watch has, I choose this smart watch over the Fitbit and Apple Watch. When I took my smart Watch into the Walmart store nearby, the two employees in the electronics section were very impressed with my smart watch. They could hardly stop talking about the watch. They were amazed at all the functions it had in this one watch and just how affordable it is. One of the employees already owned a Fitbit watch for about a year, but still liked the features on this smart watch better than his own Fitbit watch. The employee said his watch could read text from someone, but he can not reply to someone’s text message. The other employee didn’t own a smart watch, Apple Watch, Fitbit watch or any other android watch. The employee said my smart watch was just as good as any smart watch he had ever seen and it was affordable. He said besides it being affordable, he liked it just as much as an Apple Watch and a lot more than the Fitbit watch. Both employees were amazed at the high quality functions this smart watch had. Only small drawback is that you can not buy this smart watch at the Walmart store, it must be purchased online. So if you wanted to purchase this smart watch for a quick gift, you must plan ahead and order it online a few days ahead. I am really satisfied with my smart phone. This is a great, affordable phone. I highly recommend it for family members and friends. I purchased this product for my 2002 Toyota Matrix that doesn’t have Bluetooth capabilities. 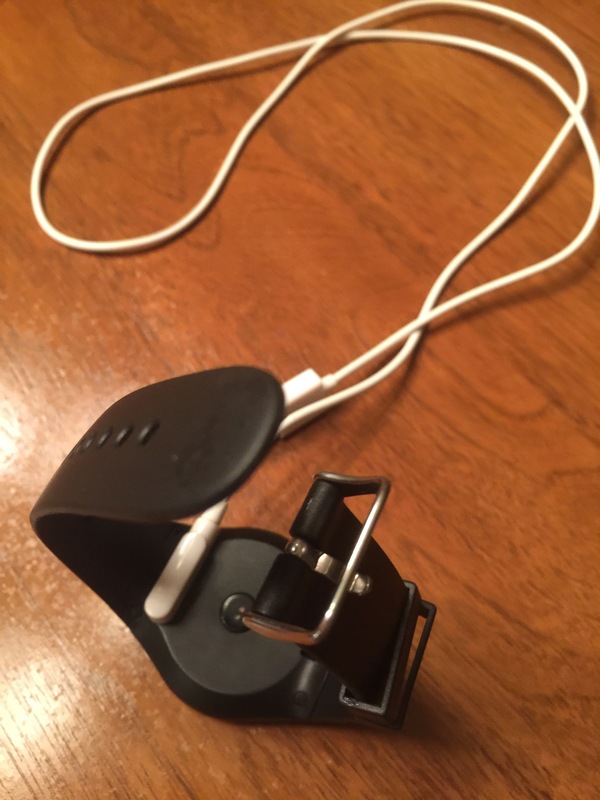 I found it really simple to sync the Bluetooth charger with my IPhone 6 Plus. I just had to sync it thru my IPhone settings. This is a dual (two) USB charger. I am able to charge my IPhone 6 Plus and my grandson’s android tablet at the same time. I am also able to make and receive phone calls thru this Bluetooth charger. I was told that this charger can also be used with an MP3 Player, but I never owned an MP3 Player. This little Bluetooth charger gets great sound and no static. It’s really a great product for the price. Over this weekend I traded in my old Toyota Matrix for a 2014 Toyota Prius. 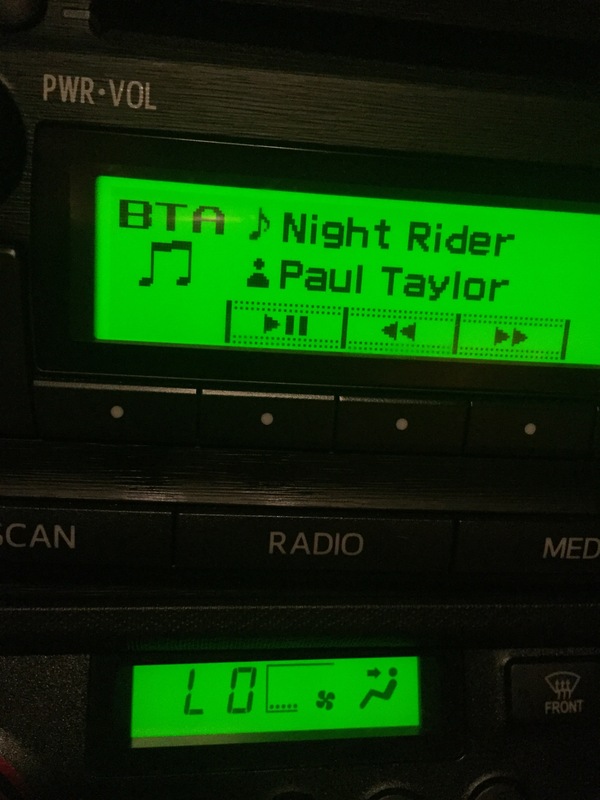 My new car has Bluetooth capabilities, but I love how I can play my favorite music stations from my Pandora app on my IPhone . Great feature. Also, still like the dual charging feature. I am going to purchase a Bluetooth charger for my daughter who drives an older car without Bluetooth capabilities. The Bluetooth charger was delivered to my home within a few days of ordering it. It came with easy to understand directions. Within minutes, I had it working. It was very well packaged. I had no problem with the seller whatsoever. I am a very happy/satisfied customer. This product was purchased online at http://www.walmart.com.